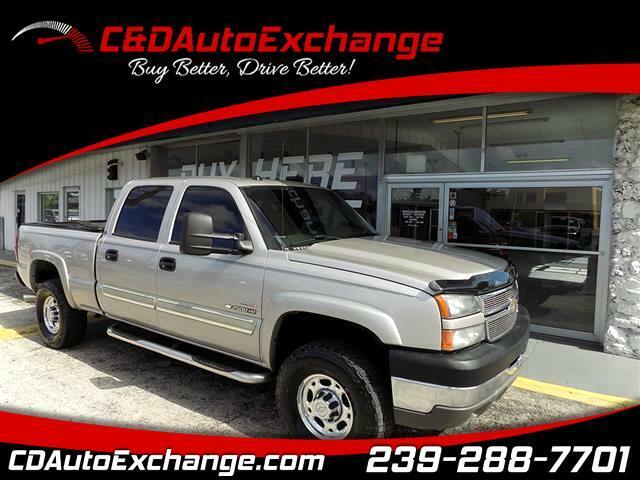 2005 Chevy Silverado America Number 1 Choice for Trucks!!!! A carry-over from 2004, the Silverado 2500 offers up-to-six-passenger seating equipped with a 6.6-liter V8 turbo-charged Duramax diesel engine. Tuned and Boost ready!!! Absolutely a clean Silverado from top to bottom. Real Diesel Buyers know that this Truck is a gem. Buy With Confidence. Only the finest selection in preowned vehicles in SWFL. Visit our webpage www.cdautoexchange.com or call 239.288.7701.